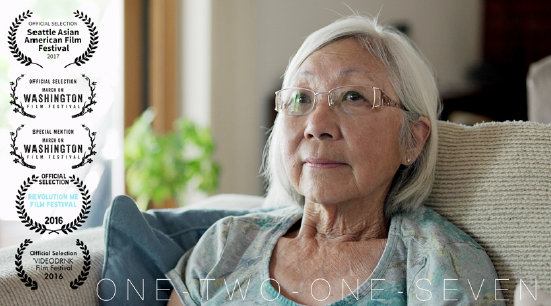 “Two One Two Seven,” an award-winning film about the Children’s Village of Manzanar, will be shown on Saturday, Jan. 7, from 2 p.m. at the Garden Room of the Japanese American Cultural and Community Center, 244 S. San Pedro St. in Little Tokyo. Directed by Brett Kodama, the documentary tells the story of orphaned Japanese American children who spent the war years behind barbed wire following President Franklin D. Roosevelt’s order to remove 120,000 persons of Japanese ancestry from the West Coast during World War II. Admission to the screening and discussion is free, but reservations are required. Reserve your space by emailing [email protected] or calling LTBA at (213) 880-6875. Amid the fear and hysteria following the attack on Pearl Harbor, the fate of 61 orphaned children in Los Angeles and San Francisco was unknown. Their caregivers initially thought that surely the children, including several infants, would not be sent to camps despite the Roosevelt’s Executive Order 9066. Directors of orphanages — Maryknoll Home for Japanese Children in Los Angeles, Shonien (Japanese Children’s Home of L.A.), and Salvation Army Japanese Children’s Home in San Francisco — pleaded with government officials to allow the children to remain in their care. The response came from U.S. Army Col. Karl Bendetsen: “I am determined that if they have one drop of Japanese blood in them, they must all go…” Eventually, 101 orphans resided within Children’s Village. Kodama was inspired to make the film after learning the story of his grandmother, Sharon, one of the orphans at Manzanar.